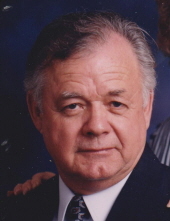 Lewis Lon Grave age 85 of Seneca, Missouri went to be with his Lord and Savior on Friday, March 22, 2019 At Mercy Hospital in Joplin after a short illness. Lewis was born March 3, 1934 in Joplin to the late Fred and Birdie Graves. He was the youngest of 12 children. Lewis graduated from Joplin High School in the class of 1952 and worked briefly for a flooring company. He was drafted in the height of the Cold War to the Army in 1954 and went to basic training in Fort Carson, Colorado and served honorably until 1956. Afterward he worked for a short time at Vickers in Joplin as was a route driver for Pepsi Cola which he always talked that he really liked stopping at all the mom and pop stores and conversating with the merchants. He then went to work for South Western Bell Telephone Company in September of 1959 and worked until his retirement in January of 1995. He married Shelby Graves on August 17, 1963 in Diamond, Missouri and faithfully stuck by her side through sickness and health until her passing on November 12, 2017. He was a devoted Christian and loved his Lord. Every day he was in his bible studying the word always searching and getting everything he could from it. Lewis attended various churches through his life, going to where he could be fed the word. When he didn’t feel he was, he would go searching again. Lewis enjoyed living on his farm where he raised horses, and livestock. He enjoyed camping, going to sales, looking for things to where he could make a deal. Lewis loved and lived life and will be greatly missed. Lewis was also preceded in death by siblings, Harold Graves, Helen Siler, Evabell Puckett, Ozella Bard, James Graves, Edwin Graves, and an infant son. Lewis is survived by 2 sons, Daniel Graves and wife Denise of Carl Junction, Mark Graves of Carl Junction; a step son, Michael Carter of Joplin; grandchildren, Tabitha Jessip and Katy Yearton; great grandchildren, Samantha Jessip and Liam Jessip; siblings, Mary Irick of Joplin, twins, Margia Kelly of Joplin and Margarette Wilson of Tucker, Georgia, and Galen Graves of Kansas City. The family will be present for a visitation on Wednesday, March 27, 2019 at Simpson Funeral Home in Webb City from 12:00 PM to 1:00 PM. A graveside service will be held on Wednesday at Osborne Cemetery in Joplin at 1:30 PM with full military honors. Services are under the direction of Simpson Funeral Home in Webb City. Visit www.simpsonfh.com for online condolences. To send flowers or a remembrance gift to the family of Lewis Lon Graves, please visit our Tribute Store. 33rd Street & McClelland Blvd. "Email Address" would like to share the life celebration of Lewis Lon Graves. Click on the "link" to go to share a favorite memory or leave a condolence message for the family.